Come create your own winter polar bear, complete with crown and scarf. 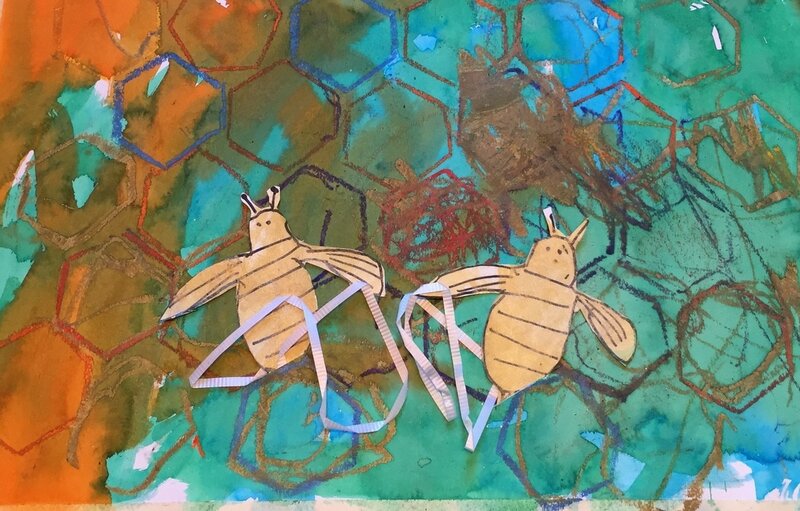 Students will draw, paint, and glitter glue the details of their bear to make it truly their own. Older kids will draw, cut and make a polar bear family! Hand made valentines are the best! Each student will use scratch foam to make 8-10 heart prints for family and friends! Older kids will cut, draw and glue to add more details to their cards. 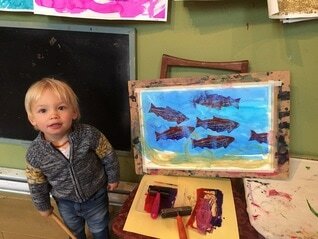 It's a splatter art project! 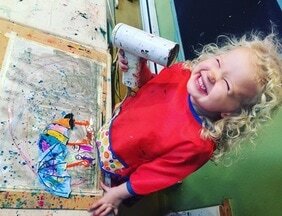 Kids will draw, paint, and splatter their umbrellas to create a mixed media project all their own. 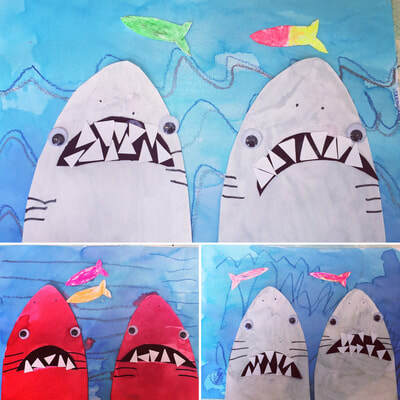 Older kids will do more detailed drawing, cutting and taping. What does it look like to you? 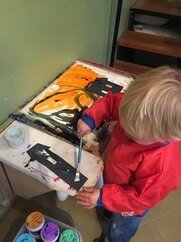 Abstract art is so much fun! 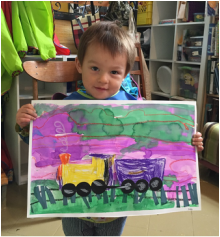 Kids will make lots of different prints and glue their favorites to a coloured background of their choice. 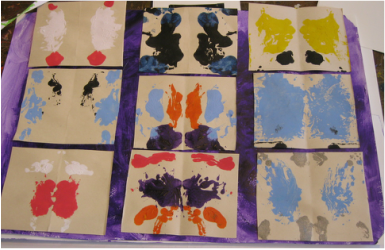 Older kids will cut their own paper squares and choose how to arrange the prints so they balance and compliment each other. Mom's love hand made art! 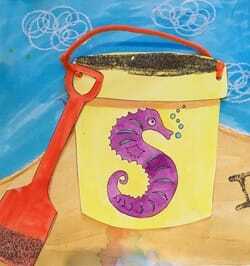 Kids will draw, paint, and glue sand to make a textured beach painting. They can also choose a message drawn with sand for their mom. 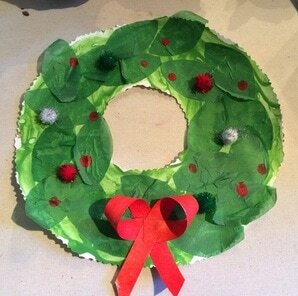 Older kids will do more detailed drawing, cutting and gluing. Dad's Rock! 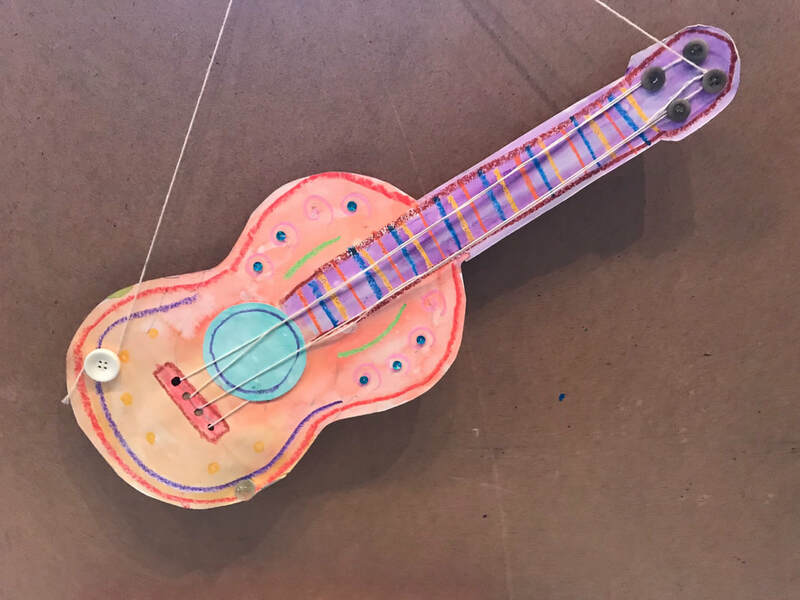 Kids will draw, paint, and glue to make a unique guitar. 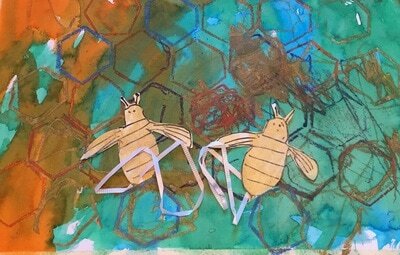 Older kids will do more detailed drawing, cutting, gluing and add strings. Let's get into the Halloween spirit with this spooky, funny, Pumpkin Face designed by you! 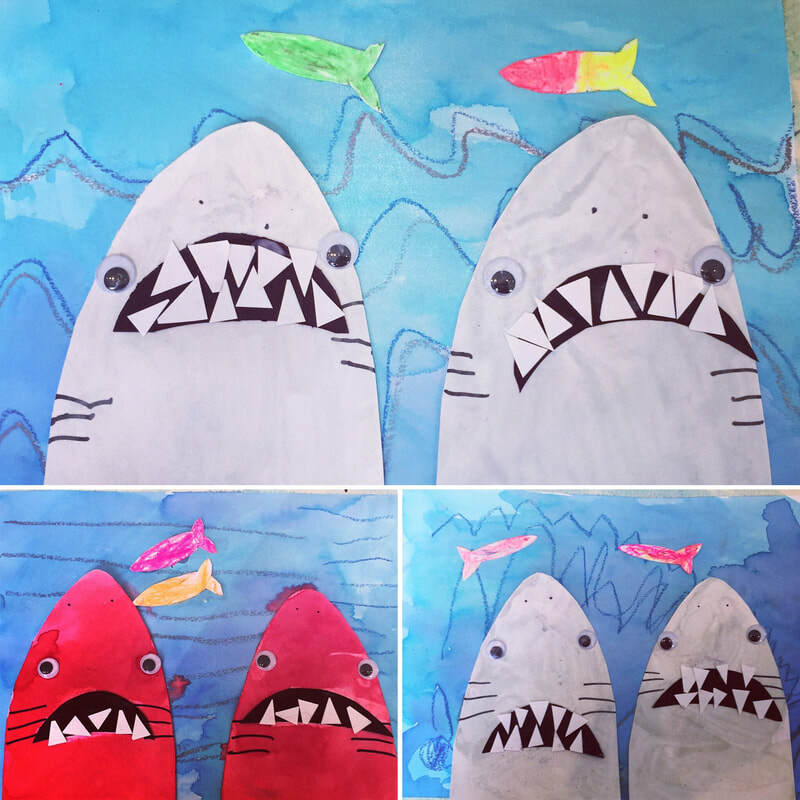 Students will glue, paint, and cut their own designs to make a piece of art truly their own and ready to display. Poppies are the flower of the season and a symbol of remembrance. 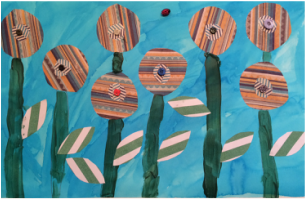 Students will paint, glue an cut to create a beautiful poppy scene. Get into the holiday spirit by making your own unique nutcracker collage. Students will draw, paint and glue their nutcracker, and he'll even have a mouth that opens and closes!